Posted: Wednesday, July 19, 2017. 2:42 pm CST. 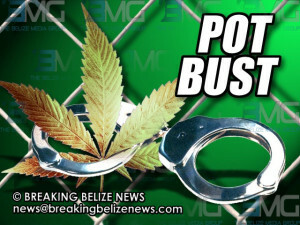 By BBN Staff: According to police reports, yesterday around 11:50 am, while police were conducting patrol on Louise Bevans Street, Belize City, they saw a green Geo Prizm car which was occupied by 20-year-old Jesus Emmanuel Valera, construction worker of Corozal Town, and 28-year-old, Calvin Jerome Cathouse, also a construction worker but from Belize City. The men sped off in the car upon sighting police patrol. While pursuing the car, police saw one of the men throwing a package out of the vehicle. 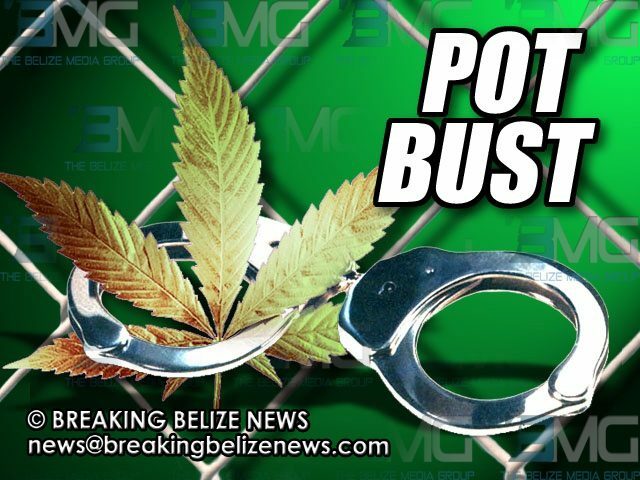 They were later apprehended and taken back to the area where they threw the package where police found a bag containing 2,033 kg of cannabis. Both men have since been detained pending charges.